Eye Magazine | Blog | World’s greatest sign? Declaring one singular sign the ‘Greatest in the World’ is as recklessly bold as it is provincial, writes Mike Kippenhan. 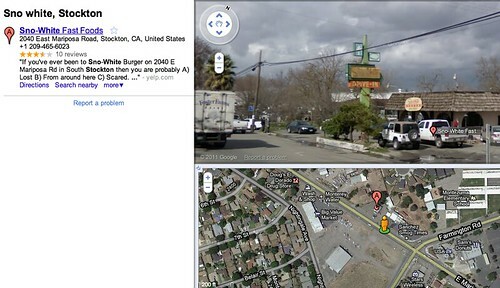 But if a sign were to achieve this honour, the one for Sno-White Drive-in, on the south side of Stockton, California, would be it. 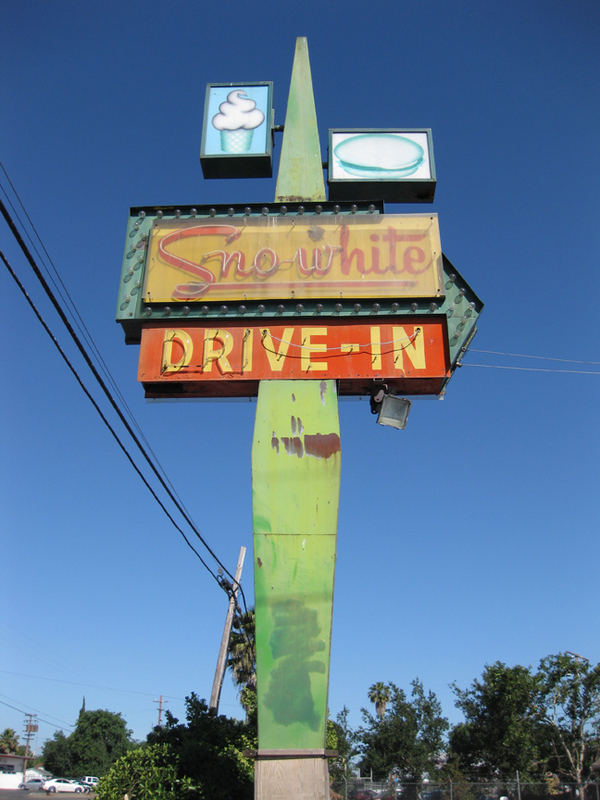 Sno-White’s sign symbolises a time when custom metal and neon hoardings dominated the North American landscape, and it stands in sharp contrast to today’s risk-adverse brand identities. The interplay of its elements – multi-dimensional geometric forms, incandescent and neon lighting, food illustrations and multiple colours – work together to make it truly beautiful. See also Mike Kippenhan’s ‘On the road’ on the Eye blog.